An ideal swing seat for young toddlers to enjoy outdoor play time in the garden. 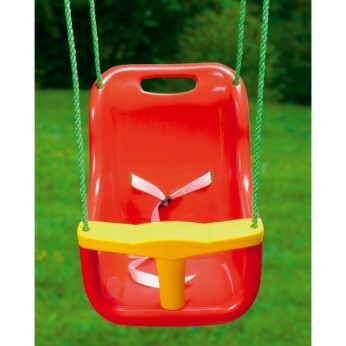 The baby swing seat is made from durable, weather resistant materials and uses soft feel ropes. This toy costs approximately £16.99 (for the latest and best prices make sure you check our retailer list for the Soulet Baby Swing Seat above). In our review of Soulet Baby Swing Seat we classed it as being suitable for ages 0 to 11 months but recommend you check the manufacturer specific advice before purchasing.